DoughMate® pizza dough trays are a new generation of pizza proofing pans and dough transportation trays. Manufactured by Madan Plastics Inc.
DoughMate® pizza dough trays are new generation dough transportation boxes and pizza proofing pans manufactured by Madan Plastics Inc. DoughMate® pizza dough trays are the preferred pizza proofing pan used by professionals in the USA and abroad for all their dough proofing needs. SAVE TIME AND MONEY and make better PIZZA using DoughMate® pizza dough proofing boxes and other products. 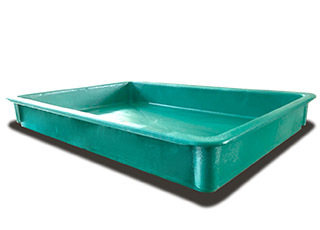 DIRECT FROM MANUFACTURER PIZZA PROOFING PANS – ensures excellent service and value. A Division of Madan Plastics Inc.